Adult Swim Picks Up Dan Harmon’s Animated Series!!! Dan Harmon (creator of ‘Community’) has a new series in development for Cartoon Network’s Adult Swim lineup. 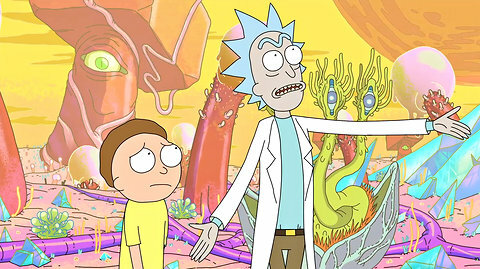 The series is called ‘Rick and Morty’ and will be a half hour animated comedy. Harmon and Justin Roiland created the story and will premiere in 2014. According to Deadline, the series centers around a genius inventor grandfather and his less–than-genius grandson, and the journeys in life they share. i imagine this will be a huge hit. Currently, Harmon has two other live action projects being developed over at CBS and Fox. I haven’t seen all of ‘Community’, but the few episodes I have seen, have been great. Put your Ninja Boots on, because the new ‘Samurai Jack’ Trailer is Here! Cartoon Network Is Bringing ‘Samurai Jack’ Back To Life!!! DVD Review: ‘Robot Chicken: Season 7’!! Hulu Picks Up Seinfeld and The Walking Dead Spinoff!!! This entry was posted on Monday, October 29th, 2012 at 12:54 pm	and is filed under News, Television. You can follow any responses to this entry through the RSS 2.0 feed. You can skip to the end and leave a response. Pinging is currently not allowed. « George Clooney Directing WWII Film Starring Bill Murray!! !